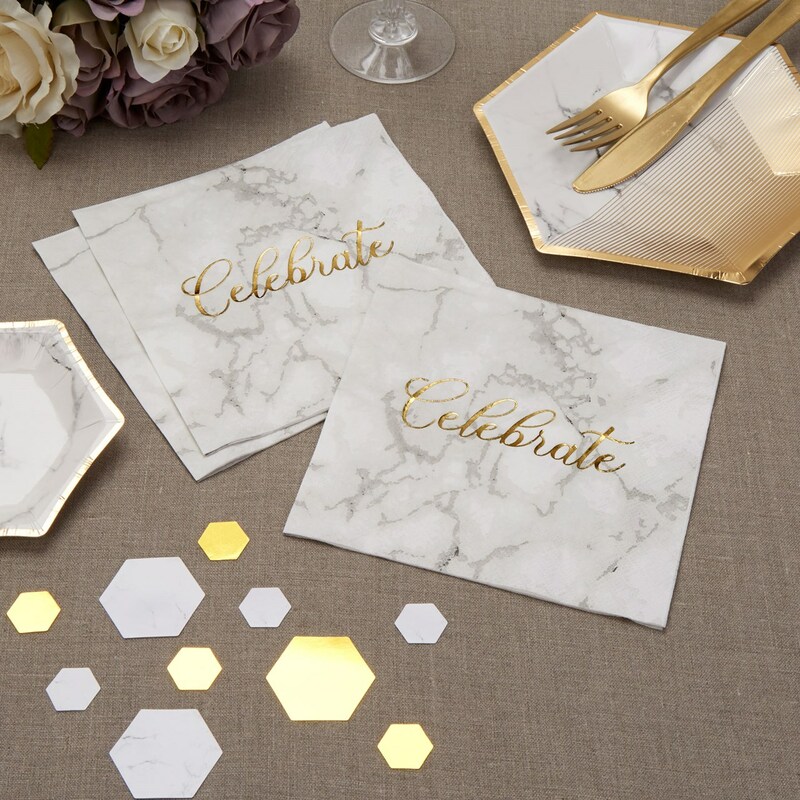 Add some glamour to your celebration with our gorgeous Scripted Marble napkins, combining the classic look of grey and white marble with calligraphy-style gold text, these napkins bring some style to a party essential. Made from high quality 3-ply paper, the napkins can be combined with a full range of tableware to create a cohesive look for your celebration. Each pack contains 16 Napkins.